Columbia Sportswear is a brand and retailer of sports clothing and outerwear, based in Washington County, Oregon, United States. They are perhaps best known for their heavy duty and waterproof coats. The company is publicly traded on the NASDAQ as COLM, and sells its range in over 40 of their own stores in the US, as well as online at Columbia.com and other regional websites. They also supply third party retailers across the world. The site is especially beneficial for making savings as they're always running offers and deals. 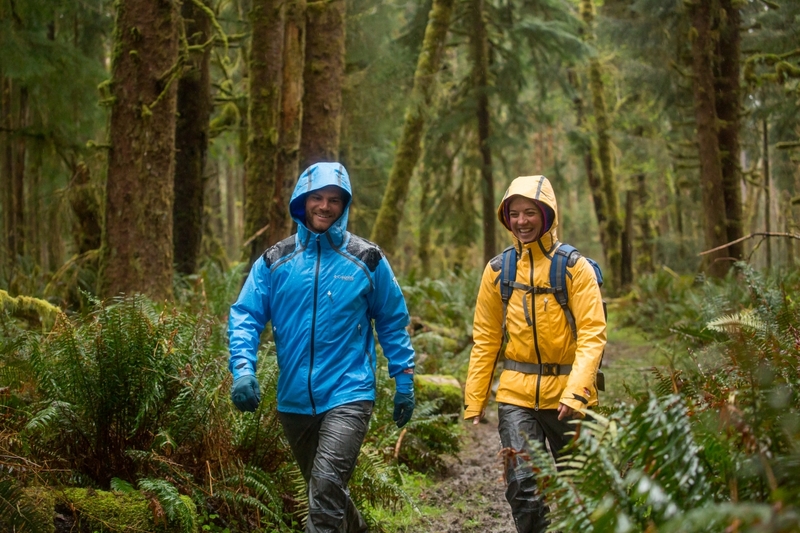 We list all of the available Columbia Sportswear coupons here at Coupofy, so you never have to waste time searching elsewhere. There are even Columbia Sportswear printable coupons if you're going to be shopping in store. Columbia was founded back in 1938 by Paul and Marie Lamfrom, as a clothing distributor. They then expanded in to manufacturing and selling hats, before broadening their inventory in the 60s which is when they adopted the Columbia Sportswear name. Today the Boyle children Gert and Timothy serve as Chairman and CEO respectively. Columbia first began taking online orders as early as 1996, and went public in 1998. Since then they have expanded by opening more retail outlets and acquiring other brands and companies. In 2014 they made $2.1 billion in revenue with over 4,000 permanent staff members throughout the supply chain. Although their focus is on outerwear Columbia produce a comprehensive range of clothing types, catering to all Men, Women and Children; in sizes Big, Tall, Petite and Plus. The website is very easy to use, allowing you to search via the search bar or browse well organized categories. Types of clothing available include: Jackets, Hoodies, Long & Short Sleeved Shirts, T-Shirts, Vests, Sweaters, Hats, Scarves, Gloves, Socks, Pants, Shorts, Snow Gear, Dresses, Skirts, and Accessories like Watches, Bags, Bandanas, Sleeves, and much more. Footwear includes regular Boots, Hiking boots, Sports & Sneakers, Casual Shoes, Sandals, Slippers, Boat Shoes, Water Resistant, and others. There is also specific clothing for Trailing, Fishing, Hunting, Travelling, Skiing & Snow activities. Product listings can be easily refined so you can find what you want, with parameters such as price range, color, size, popularity, function, among others. There are also user ratings and reviews to help you make a decision. If you want to get somebody a gift but aren't sure what they would like you could always purchase a physical or electronic gift card (values between $35 and $500) so the recipient can make their own choices. Columbia accept a wide variety if payment methods, including most common credit and debit cards, such as Visa, Mastercard, American Express, and Discover. You can also mail in orders and pay be check. To redeem a Columbia Sportswear coupon code all you need to do is copy said code over from Coupofy and in to the promo box ahead of payment. 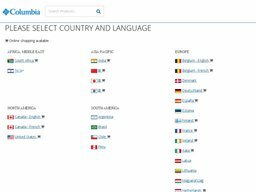 Columbia cater to both US and international customers though each are served from separate localized websites. You can go to these by clicking the flag icon at the top of the page. Countries served outside the US include Canada, Belgium, Germany, Spain, Finland, France, the UK, Ireland, Italy, Denmark, and the Netherlands. Each site has their own local currency and shipping options. On the main US site shipping can be made to all 50 states and APO/FPO addresses. UPS Ground shipping (up to 7 business days) is free if you buy 3 or more items (regardless of order value), and you don't need to use a Columbia Sportswear coupon code. Outside of this offer shipping is charged based on the value of your order, so to get an accurate calculation you should add items to your basket, enter a delivery address and choose your desired shipping option. Several expedited options are available at a higher charge if you want your order quicker. Items can be returned within 60 days of the original purchase date. To be eligible they must be in their original condition and still have the original tags attached, unless you are making a claim on a damaged or defective item. In that scenario you will not have to cover the outbound and return shipping costs, but if the order is simply unwanted you will. All orders come shipped with the required return form which must be completed and included in the return package. You will also find a shipping label, the cost of which will be deducted from your refund or credit (see above). If you misplace your return form and label you should contact customer support right away. Obviously if you have used a Columbia Sportswear promo code to get a discount you will only be refunded the true amount charged.